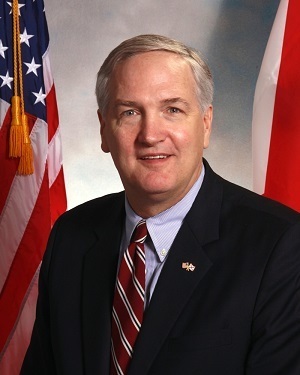 MONTGOMERY, Ala. (Legal Newsline) - Alabama Attorney General Luther Strange said earlier this month that a $1 billion settlement with oil giant BP has been finalized, with $950 million being paid to the state’s General Fund over the next 17 years. In addition, Strange’s office will receive $10 million directly from BP for its legal fees in the Gulf oil spill case. According to a separate order dictating BP make a one-time payment of legal fees to those public and private attorneys who represented the five Gulf states, another $6.2 million will go to Montgomery law firm Beasley Allen Crow Methvin Portis & Miles PC. Strange re-deputized the private firm earlier this year, after he had elected to terminate the contract his predecessor signed, to avoid a legal challenge from BP. In June, a high-ranking assistant attorney general on Strange’s staff defended the attorney general’s decision to re-appoint Beasley Allen, noting the office and an attorney at the firm had already been working “side-by-side” on the case for years. “We’ve always worked as a cohesive team and there was never any thought of needing to go out and hire outside counsel who have been involved in the case when the guys who have been side-by-side with us in the case doing the work for the past four years were available to help,” Special Deputy Attorney General Corey Maze told Legal Newsline in June. Shortly after the 2010 oil spill occurred, Strange’s predecessor Troy King hired Beasley Allen to represent the State in exchange for 14 percent of any award the State received. When Strange was elected months later, he cancelled the contract with Beasley Allen, opting instead to use in-house attorneys for the work as a cost-savings. However, earlier this year it was revealed that Strange’s office had re-deputized those private attorneys -- only after BP raised an issue about attorneys who had initially been contracted by Gov. Robert Bentley’s office alone, rather than by the Attorney General’s Office, which serves as a de facto representative for the State in legal matters. Fees also were awarded to the following firms for their work on Alabama’s behalf: New Orleans firm Lewis Kullman Sterbcow & Abramson, $1,266,666; Virginia Beach, Va., firm Breit Drescher Imprevento PC, $1,266,667; and Mobile, Ala., firm Cunningham Bounds LLC, $1,266.667. In July, the U.S. Department of Justice and the five Gulf states announced they reached a settlement with BP, resolving civil claims against the company arising from the April 20, 2010 well blowout and the massive oil spill that followed in the Gulf of Mexico. On Oct. 5, Judge Carl J. Barbier for the U.S. District Court for the Eastern District of Louisiana entered a consent decree containing the final details of the settlement, which is worth $20.8 billion. Under the decree, more than $295 million of natural resource damages monies would be spent in Alabama’s coastal counties to restore the state’s coastal environment. Another $1.25 billion would be spent restoring environmental conditions in the open ocean and in region-wide projects that include Alabama’s coastal counties. The decree also discloses BP’s payment of $5.5 billion in civil penalties. Alabama will receive approximately $708 million of this amount to be spent on environmental restoration, economic recovery projects, and tourism and seafood promotion. Notice of both the consent decree and the draft damage assessment and restoration plan are published in the Federal Register. Both will be available for public comment for 60 days. The materials and instructions for commenting on the consent decree can be found here. According to the DOJ, a series of public meetings will be held in the Gulf region and Washington, D.C., to solicit comments on the decree and restoration plan. The Gulf states and BP jointly filed a separate document containing the details of their finalized settlement of claims for economic damages. Under this settlement, BP will pay Alabama $1 billion, $950 million of which will be paid to the state’s General Fund -- $50 million in each of the years 2016-18 and $53.33 million in each of the years 2019-33. Another $50 million will be paid by BP in 2016 to the Alabama Gulf State Park Project. The April 20, 2010 explosion and fire occurred on Transocean’s drilling rig Deepwater Horizon, which was licensed to BP. The accident killed 11 workers and resulted in the largest offshore spill in U.S. history -- an estimated 210 million gallons of oil. Want to get notified whenever we write about The Alabama Legislature ? Sign-up Next time we write about The Alabama Legislature, we'll email you a link to the story. You may edit your settings or unsubscribe at any time.